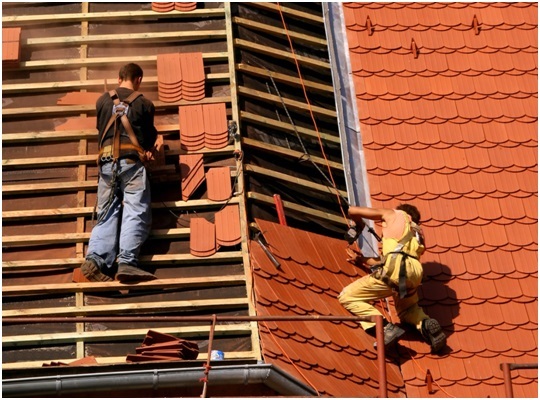 Getting a roof replacement is a very important decision to make because it involves an investment in time and money. When you consider the fact that your roofing provides protection for you and your family, you will realize that it isn’t a choice you should take lightly. Peak Roofing Contractors looks at the essential features and benefits that you should look out for when choosing your next roof replacement. Ask any professional roofing contractors in Northern Virginia what the most important feature of a roof should be and they’ll put durability on the very top of that list. Your roof has to weather a lot in its many years of service, and if it can’t go the distance then it’s not worth investing in. A perfect example of roofing geared toward durability is slate. The specific composition of slate makes it resistant to many things—water included—such that many samples of this material on decades-old buildings are still standing strong. Another feature that many roofers in Northern VA recommend is energy efficiency. There are two factors involved in energy efficiency. The first is comfort. Energy-efficient roofing regulates temperatures in your home to regularly keep them at levels that you’re most comfortable with. The second is savings. When your roofing regulates temperatures as such, it lessens the burden on your heating and cooling units. This—in turn—lowers your monthly energy expenditure. Installed properly, tile can be a very cool roofing material. It regulates temperatures by reflecting heat off of its surface—leaving your interiors at the right temperatures. Lastly, it still helps to consider the look of the roof replacement that you’re getting. Let’s face it: looks are still a very important factor for many homeowners. And in this regard, the choice will depend greatly on your own personal preferences and tastes. Peak Roofing Contractors strongly recommends that you look at wood shakes. Apart from the already gorgeous natural look of wood, these shakes can be customized with a range of colors and finishes. If you’re spending on it, it helps to already choose the roofing material that meets all of your needs. So give Peak Roofing Contractors a call today and we’ll be more than happy to help you find the roof that strikes a balance between everything you need.